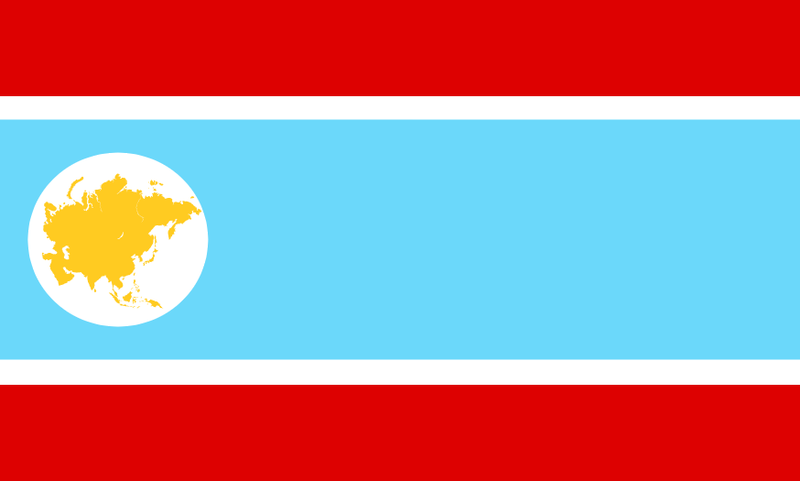 The Democratic Republic Of Tejomaya is a nation led by President Tucksheel Dimri on the continent of Asia. The Democratic Republic Of Tejomaya's government is a Democratic Republic with very conservative social policies. Economically, The Democratic Republic Of Tejomaya favors far left wing policies. The official currency of The Democratic Republic Of Tejomaya is the Rupee. At 136 days old, The Democratic Republic Of Tejomaya is a mature nation. The Democratic Republic Of Tejomaya has a population of 421,557 and a land area of 8,864.50 sq. miles. This gives it a national average population density of 47.56. Pollution in the nation is evident. The citizens' faith in the government is at an all-time high with an approval rating of 100%. Tejomaya is a beautiful nation in Asia with a population of 427,864 people.People in Tejomaya are very friendly and helping.There are a lot of different kinds of foods to eat in Tejomaya,which includes sea food,vegetarian food and a lot more.Tejomaya is a developing nation with diverse cultures.The capital of Tejomaya is Anandhasthan.The best places to visit in Tejomaya are-the Temples of Lord Ganesha and Lord Vishnu in Anandhasthan,Beach Tej and Beach Sagrateeren. 04/15 01:54 pm - Tejomaya ended the embargo placed on Mountania. 04/15 01:53 pm - Tejomaya placed an embargo on Assadistan. 04/15 01:53 pm - Tejomaya placed an embargo on Exiled Republic of America. 04/15 01:52 pm - Tejomaya placed an embargo on New Soviet Union w.
04/15 01:52 pm - Tejomaya placed an embargo on Islam Aur Pakistan. 04/15 12:53 am - Courier Six removed Tucksheel Dimri from the alliance Guardians of the Galaxy. 04/12 05:43 pm - Tejomaya had war declared by Islam Aur Pakistan for the reason of "You brought this on yourself". 04/04 09:24 am - Tejomaya changed their Color Trade Bloc from Gray to Lime. 03/27 04:31 pm - Tejomaya had war declared by Exiled Republic of America for the reason of "ur policies are left wing". 03/14 07:57 am - Tejomaya changed their Color Trade Bloc from Gray to Lime. 03/07 08:28 am - Tejomaya applied to join the alliance Guardians of the Galaxy. 03/07 08:27 am - Tejomaya left the alliance Pantheon. 03/07 08:25 am - Tejomaya applied to join the alliance Pantheon. 03/07 08:22 am - Tejomaya left the alliance United Purple Nations. 03/06 04:24 pm - Tejomaya had war declared by New Soviet Union w for the reason of "A not-so-general dispute". 03/05 06:25 am - Tejomaya changed their Color Trade Bloc from Gray to Purple. 02/27 04:42 am - Tejomaya had war declared by Assadistan for the reason of "Inactive, looted for assad". 02/18 03:53 pm - Tejomaya had war declared by New Amercian Order for the reason of "Act of 3036 Which The Been Informed by all nations". 02/05 06:52 am - Tejomaya changed their Color Trade Bloc from Yellow to Purple. 01/26 01:35 pm - Tejomaya applied to join the alliance United Purple Nations. 01/24 02:06 pm - Tejomaya had war declared by Beacon Academy for the reason of "you are mine.". 01/23 05:49 am - Tejomaya left the alliance Pantheon.